Faridabad District (now Division too) has been awarded Faridabad City by this name, which was established in AD 1707 by Sheikh Farid, the treasurer of Jahangir with the objective of protecting the highway passed through the city. Sheikh Farid built a fort, a tank and a mosque. Later it became the headquarters of a Pargana which was held in Jagir by Ballabgarh ruler. It was confiscated by the government because the ruler took part in the revolt of 1857. The site selected for Faridabad township covers the area of 18.1 square kilometers on the western side of Delhi-Mathura National Highway. The Indian government displaced the North-West Frontier province and Dera Ghazi Khan District (now in Pakistan, in 1947) for rehabilitation of the people. The control of this township was contained in the Faridabad Development Board, which was working under the authority of the Government of India through the Ministry of Rehabilitation. It was not considered desirable that the Central Government should maintain permanent attachment in the State Government and hence the township was handed over to the Punjab Government. Faridabad Division and District 28 Degrees are between 10’50’N and 28°29’04 ” latitude and 77 degrees 06’49”E and 77°33’23”Light longitude. It has a geographical area of 742.90 square kilometers. Faridabad District and Division is located on South-Eastern part of the State. Its dense shape located in the south of Delhi is made in the NCR west border of Gururgram district and eastern areas of Uttar Pradesh state. The District Palwal is located in the south. The District and Division is a plain area with a perennial river Yamuna on its east, which has formed its flood plain area as a narrow belt along the Yamuna river, It is quite different from the remaining upland plain area. The former is known as Khadar, the low lying flood plain of newer alluvium. The latter, an upland plain made of older alluvium, is known as Bhangar. The Khadar is generally three to five kilometres wide and is subject to floods from the Yamuna River during the rainy season. When the flood recedes we find considerable fine silt which is easy to plough. The soil in the flood plain area retains adequate moisture. Physiographically we can sub-divide the district into Faridabad Undulating Plain and Yamuna Khadar Region. Faridabad Undulating Plain covers north-western parts of Faridabad and Ballabgarh tahsils. Physiography of this sub-part reveals presence of residual Offshoots of Aravalli hills. Yamuna Khadar Region extends over eastern side of the district along the Yamuna River. Its slope is towards the south. The length of Yamuna River in the district is 45 kilometres and average bredth is about 200 metres. It forms the boundary between the Faridabad district in Haryana and Bulandshahr and Aligarh districts in Uttar Pradesh. Owing to the diversion of waters into Western Yamuna Canal and Agra Canal, the flow of water in the river is very little. The tract along the Yamuna is called Khadar. An island is also formed by flooding of stream called Jhar or Jairnala. The Jairnala runs in a deep, narrow and dangerous channel and makes heavy damages during floods. The District has a sub-tropical continental monsoon climate where we find seasonal rhythm, hot summer, cool winter, unreliable rainfall and great variation in temperature. Rainfall distribution is relatively satisfactory in relation to the western parts of Haryana and it is mainly concentrated during the summer monsoon. Some rain is experienced during the winter season in association with passing western disturbances (cyclone). Air is generally dry during greater part of the year. Dust storms mostly occur during April to June. Sometimes dense fog occurs in winter season. The District covers Faridabad and Ballabgarh, forest ranges headed by the Range Forest Officers. These ranges are part of Faridabad Forest Division under the charge of Deputy Conservator of Forests stationed at Faridabad (Municipal Corporation). The district falls in South Forest circle with headquarters at Gurgaon. The area under forests is classified according to ownership, viz. Private and State. Forests owned by corporate bodies and private individuals are included under private forests. The State forests are categorized as reserved, protected and unclassed. The Jand tree growing everywhere in the district is very useful. Besides other uses, lopping of the Jand tree is used as fodder for cattle during winter. Ballabgarh and Faridabad tahsils are mostly wooded inspite of large scale cutting and removal of trees. Greater part of vegetation found in reserved forests consists of Karir, Hins, Jal, Ratunj, Khair, Kikar, Dhak, Gular, Papri, and Lasura.Barana, Odora, Imli and Amaltas are also met with though not very commonly seen. Ber tree, mostly planted in Orchards for fruit is also found in the district. Shisham and Siris are confined to road sides. Bakain and Arjan are also seen along the roads. The soil in the flood plain area, known as khadar, retains adequate moisture even after the rainy season. Mostly the soils are loam (Bhangar and Nardak) and silty loam (Khadar) in the district. Soils as classified by National Bureau of Soil Survey and Land Use Planning (ICAR), Nagpur, the district has mainly aquents-fluvents and Ochrepts types of soils. Soils in the Palwal Plain area are loam (Bhangar) and relatively sandy loam. Loam is more fertile. Yamuna Khadar area has loam and silty loam soils which have low water holding capacity. Such soils are difficult to work upon when dry. The crops grown in the district are divided into two main categories viz. kharif and rabi, locally called as sawani and sadhi. The former is the summer season harvest and the latter the winter season harvest. Any crop which does not strictly fall within these two harvests is known as a zaid crop and its harvest is called the zaid kharif or zaid rabi, according to the harvest with which it is assessed. Toria (an oilseed) is cultivated as zaid kharif and vegetables, melon and green fodder as zaid rabi. The major kharif crops of the district are Paddy, Bajra, Jowar, kharif pulses and kharif vegetables. The major rabi crops include wheat, barley, rabi oilseeds, vegetables and sugarcane. As 79.5 percent of the population of the district is residing in urban areas, tertiary activities are dominating with proportions as high as 84.6 percent, the highest in the State. Nearness to National Capital, fast industrial development and tendency of migrant population to settle in urban areas has put the economy of the district on better footing. Proportion of main workers engaged in agricultural activities (cultivators and agriculture labour) has fastly come down from 26.3 percent in 2001 to 8.69 percent in 2011. But proportion of marginal workers engaged in agricultural activities is still quite high (16.63 percent). The government is making all efforts to encourage agricultural production by distributing improved seeds, fertilizers, pesticides, providing latest development in modern techniques, multiple cropping pattern techniques, increasing irrigation facilities, providing easy loans for modern agricultural machinery, etc. Haryana State is a land of opportunities with few equals in the country has made rapid industrial growth in the last decade and it. Fridabad district is top ranking in terms of industrialization in the State. The district has a rich industrial base and has been able to attract a number of multi-national companies, foreign investors and N.R.I. Since ancient times, cottage industry prevailed in the region like cotton cleaning, cotton pressing & color printing. It was only after the partition of the country when the influx of population settled in Fridabad-Ballabgarh zone of the district. Among them some entrepreneurial persons took benefit of the proximity to the National Capital and started establishing industrial units. Cheaper and skilled labour was available and nearness of the market for the manufactured products was readily available which gave impetus to the industrial growth. 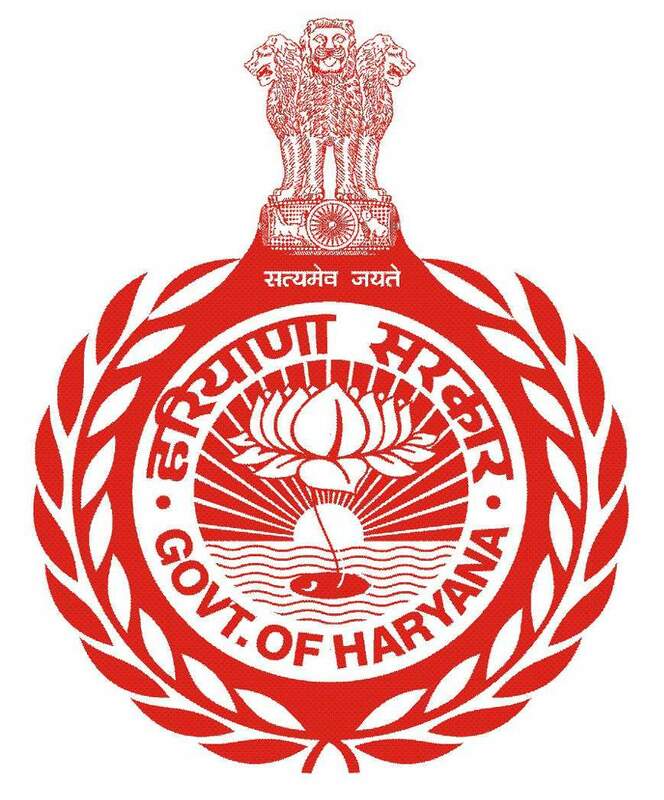 During 2010 there were 311 large and medium scale units in the district as per list supplied by the Director Industries, Haryana. Transport and Communications is the nervous system of economy of a particular area. In 1883-84, the present National Highway Delhi-Agra traversing the present Faridabad District was metalled one. Ballabgarh was part of Delhi District and Palwal area was more naturally favourable for construction of roads hence communication were fairly good in this part. The only National Highway-2 also known as Sher Shah Suri Marg traverses the district in north-south direction from Delhi to Mathura alongside Broad Gauge Railway Line, DelhiMathura in the district. Total road length in the district during 2010-11 is 533 kilometres, of this 38 kilometres is National Highway, 31 kilometres is Major District Roads and 464 kilometres is Other District Roads. State Highway-28 Palwal-Sohna-Rewari crosses the district roads and that cater to the deeper interiors of the district which include; BallabgarhPali-Dhauj-Sohnaand Mehrauli-Gurgaon- Faridabad Road. The Only Broad Gauge Railway Line of the district i.e. Delhi-Mathura passes through Faridabad, Ballabgarh, and Asaoti, railway stations in the district and important focal points of the district include Faridabad, Tilpat and Ballabgarh. In Faridabad district, all 144 inhabited villages make use of electricity for domestic purposes, agricultural purposes and other purposes as per information supplied by the revenue authorities in Village Directories during 2008-09. Census 2011 results shows 94.4 percent of the households in the district make use of electricity for lighting purposes.